Beautiful Handmade sheep wool square handbag VOLCANO An sport and practical accessory, very strong and made of peruvian wool that let you carry on all your things in a comfortable way. It is preferred by travelers and students. There are several , design, and colors. It is a great gift for friends and family , this Handmade sheep wool square handbag VOLCANO is high quality at low price, and the best is free shipping .You can start collecting the Incastreasures bags. 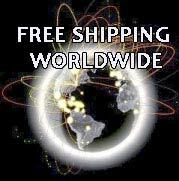 We will add a free gift with your Handmade sheep wool square handbag VOLCANO . The most original gift , by fair trade artisans, no animals were harmed to make this Handmade Handbag.